NCLAC is so pleased that we are able to serve visual artists by presenting art exhibitions in two spaces in Lincoln Parish. Through a partnership with Parish Press, Ruston’s locally owned coffee shop located at 1007 N Trenton, we display six-week exhibitions. Since the shop’s opening in August 2014, we’ve exhibited paintings by Maggie Jones Boudreaux, and photography by Whitney Caskey and Shawn Hood. Hood’s show is currently on display, and her lovely landscapes are a treat on the walls during this dreary winter weather. Her images of southern flora and fauna are available for purchase and will be on display until January 18th. Next at Parish Press will be photographs by Sonny Monteleone of Breaux Bridge. We normally exhibit work by regional artists only, but Monteleone is a NCLAC member artist who has participated for two years with Holiday Arts Tour. He’ll be exhibiting Mardi Gras-themed works, which is perfect for his exhibition schedule of January 19 through March 1. Our other location for exhibiting artwork is in collaboration with the Dixie Center for the Arts. The lobby in the historic Dixie Center for the Arts, at 212 N Vienna, is used to display works by a variety of artists. Beginning Tuesday, visitors will see an exhibition of playful watercolor animals by Sheila Jennings of Jackson Parish. These will be on display from January 6 through March 30. Other shows held in 2014 include works by Louisiana Tech’s Artist Alliance, a group of student artists who reach into the community. In the summer there was an exhibition by the Dugdemona Woodcarvers Guild of Jackson Parish, who filled the space with beautiful wooden creations including bowls, gnomes and animals. Late summer featured oil paintings by Nina Stephens of Dubach. In early fall we displayed Matisse master studies by students of Renee Hunt at the Art House, and followed that with a group exhibition by participating Holiday Arts Tour artists. Some of the Wood Guild works displayed in the Dixie Center Lobby. We enjoy scheduling these shows in order to give the public a unique viewing experience. There are so many artists with stories to share in our area, and these are two places in which NCLAC can help share them. Works are generally for sell in the exhibitions, and inquiries about purchases should be made to our office at (318)255-1450. By Art House student Lyla, age 8. We are beginning our Call for Artists for the upcoming year. If you are an artist interested in showing your works at Parish Press or the Dixie Center Lobby, email us at nclac5@gmail.com and we’ll give you the details on how to apply. The North Central Louisiana Arts Council invites you to our Annual Meeting and Holiday Party on Tuesday, January 13 at 6pm at the Dixie Center for the Arts (212 N Vienna, Ruston.) This annual gathering will include a report on 2014 activities as well as plans and projections for 2015. In addition, President’s Awards will be presented to community members in categories that include Patron of the Year, Volunteer of the Year, Board Member of the Year and Artist of the Year. If you’re curious about the work that NCLAC does throughout the year, the Annual Meeting is a great opportunity to check it out first hand… and to celebrate another year with arts enthusiasts. The event is also a perfect opportunity to view the new Dixie Center Lobby exhibition: works by Sheila Trevillion Jennings of Jackson Parish. Sheila will be displaying her watercolor animal works until March 30. NCLAC re-evaluated our membership campaign this year, and we are pleased to announce that we have 40 more members than we had last year. This is great news, as we view membership as a reflection of the community’s confidence in our programming, as well as a source of funding that helps continue our mission. If you would like to become a NCLAC member, it’s not too late! Visit us here and you can find our membership form and a paypal link to donate online. Of course you’re always welcome to stop by our office at the Dixie Center for the Arts to fill out a form in person. In addition to membership, we always welcome donations of time, as volunteers are essential to the workings of any nonprofit. Sign up to be a volunteer and we’ll notify you via email when opportunities arise. Volunteer jobs can include phone calls, mailing, special events, filing, etc. Many of you are interested in tax-deductible donations at the year’s end, and donations to NCLAC are included in this category. Individuals and businesses can donate to specific programs, or to our organization in general. We appreciate the help of donors, as we do not receive monetary support from the city, and our state support is very limited. Donations can be mailed to our post office box, dropped off through the mail slot at the Dixie Center, or made online here. Our office wishes you all a joyous holiday season. It’s our wish that you’re able to celebrate this time of year with those you love. We thank you for your continued support and interest in our work. How to contact NCLAC: phone (318)255-1450; email nclac5@gmail.com; office 212 N Vienna, Ruston; mail Po Box 911 Ruston 71273. This week's Art Talk Monday is written by Jessica Slaughter, NCLAC Executive Director. Here we are nearing the end of 2014. At this time of year, the NCLAC office looks at our year in review, and we’d like to share with our readers the programs that we’ve finished the last few months, as well as look forward into the beginning of 2015. We are always evaluating our programs, considering our successes and failures, and looking for better ways to serve the community through the arts. We began the Fall with our annual School Show Performance. A day before ARToberfest kicked off, we were busy at the Dixie Center for the Arts hosting Shreveport born soprano opera singer Brenda Wimberly for this year’s show. Each year NCLAC hosts a different genre of music performance for Lincoln Parish’s 6th graders, and this year there were 237 students and chaperones, including participants from: Montessori School of Ruston, Christian Homeschool Group, IA Lewis, and Simsboro High School. Thank you Ruston Civic Symphony Society for sponsoring this great educational experience for our local 6th graders. In addition to hearing international art songs and arias, they all had a great time learning to sing “pizza” like an opera star! 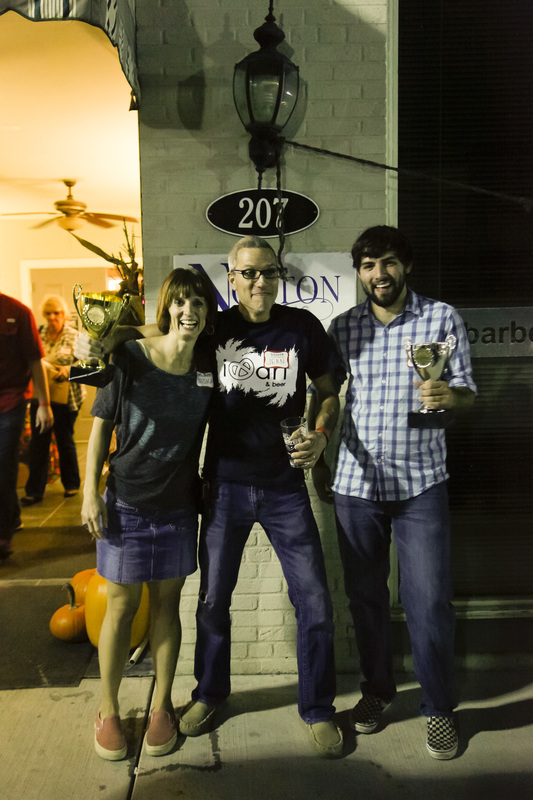 The next day was our fifth annual ARToberfest, which was better than ever this October at The Norton Building in downtown Ruston! About 450 attendees sampled the brews of seven different home brewers and the many other beers supplied by Marsala Beverage. There were also tasty foods to try with food truck vendors Wild Thang Meats, PowWow Cuban Sandwiches, and Taco de Güero on site for the first time this year. Congratulations to Jean Gourd, winner of the Devine Home Brewer Brewer’s Choice Award for his Voodoo Pumpkin Ale, and to Hayden Legg and Brandy Winfree, winners of the Devine Home Brewer People’s Choice Award for their Ruston Peach Hefeweizen. This fundraising event has gained popularity each year, and we look forward to seeing the wonderful mix of people who attend. One month after ARToberfest was our 17th annual Holiday Arts Tour. Over four days, an estimated 500 local shoppers and traveling visitors took part in the Tour. With over 50 participating visual artists and 35 vendor locations, shoppers had plenty to do, including twelve musical performances, on-site art demonstrations, children’s art activities, and the free Community Variety Show on Sunday. The Decentralized Art Funding Grant that NCLAC writes each year makes it possible to pay our performing artists, but this year the Tour was also sponsored by Fine Line Art Supply, making it possible to generate more advertising and excitement for this event. Currently we have an art exhibition on display at Parish Press (formerly Crescent City Coffee) by Shawn Hood. 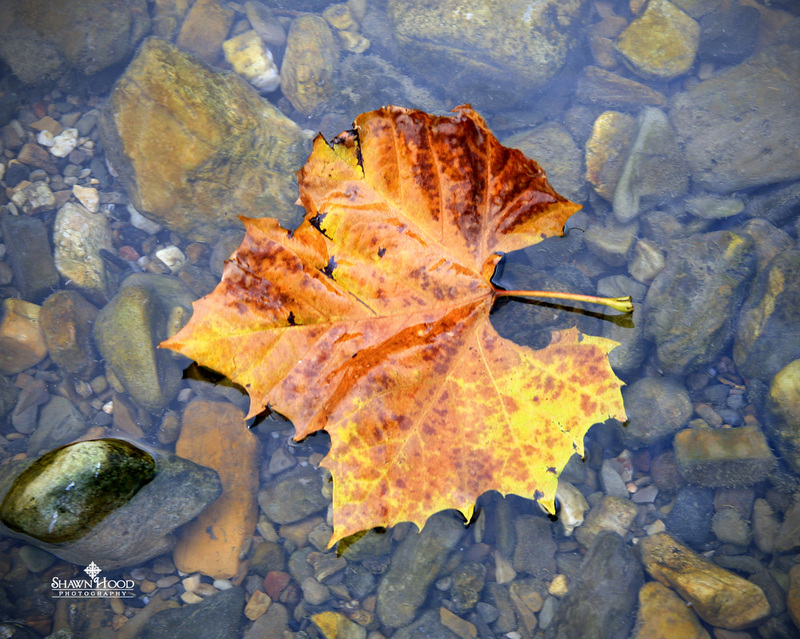 Shawn’s beautiful show of naturalistic photographic works will be on display till January 19, 2015. Works are for sale, and would make wonderful Christmas gifts. Call our office for purchase details. For the Dixie Center Lobby, we have a new exhibition that will begin January 6. 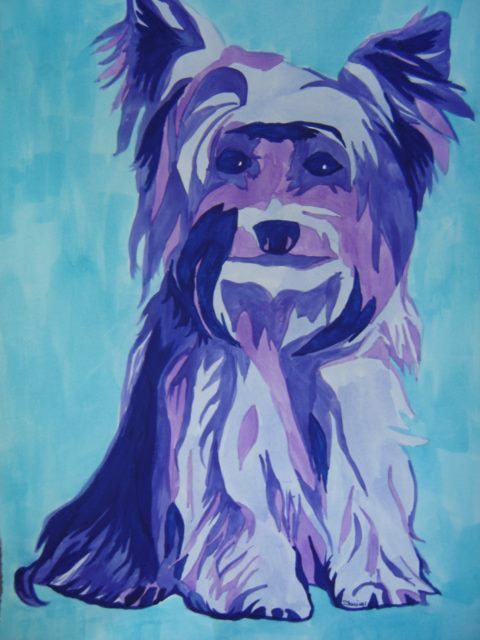 Sheila Trevillion Jennings of Jackson Parish will be exhibiting her colorful watercolor animal paintings. These works will be on display through March 27. Lastly, I must mention our upcoming Silent Auction, which will take place at the Krewe of Allegro Mardi Gras Ball. This is one of NCLAC’s primary fundraising events, and we always have wonderful items for bid. Home décor, original artworks, jewelry, antiques and more will be on display February 7 at the Ruston Civic Center. Ball tickets are available now by calling the Dixie Center Box Office at (318)255-1450). Art Talk Monday: Don't be late for the Ball! This week's Art Talk Monday is written by Jessica Slaughter, NCLAC Executive Director. Mardi Gras Ball Tickets are now available at the Dixie Center Box Office. Call Libby to reserve your seat for the Ball at (318)255-1450 Come dine, dance, and support the arts with us this February! It’s time to mark your calendars for the upcoming Krewe of Allegro Mardi Gras Ball and Silent Auction. Ruston’s “party of the year” will be February 7, which will be here before we know it. This annual event, whose theme this year is “the Arts,” has been a highlight of the Mardi Gras season in Lincoln Parish for many years; 2015 will be the 16th year! Last year the Ball was given a facelift: a new floorplan; a new Ball Committee; larger attendance, many of whom were new to the event; new tiered ticket prices; and a new purpose: to support the Dixie Center for the Arts’ Sustaining Building Fund. The historic Dixie Theatre, built in 1928, is home to the Dixie Center itself, as well as other arts nonprofits: Ruston Community Theatre, the North Central Louisiana Arts Council, Troupe Dixie, and the Ruston Civic Symphony Society. Each of these groups pooled our efforts last year to make the Mardi Gras Ball bigger and better, and it was a lovely success. We are all working together again this year, and we hope you will join us! The King this year will be David Hedgepeth, and he has chosen as his queen Melinda Maxwell. David has been a supporter of the arts community for years, and we are pleased to honor him in this way. We will be announcing the Royal Court after the holidays. These individuals are chosen by each of the nonprofits at the Dixie, as a way to recognize and honor people who have made a difference to the respective organizations. This year’s Ball, sponsored by Bank of Ruston, will be held February 7, from 7pm until midnight, at the Ruston Civic Center. Tickets may be purchased in person, or over the phone, at 318-255-1450, Mon.-Fri. from 9am-2pm, through the Dixie Center Box Office. Lord & Lady tickets are $40, for persons ages 40 and under, and Baron & Baroness tickets are $60, for persons 41 and over. Individuals may reserve round tables that seat 8 persons when they purchase their ticket at the Dixie Center for the Arts. Each ticket grants two complimentary drink tokens for a beer or wine beverage from the bar. A cash bar is available, and no outside drinks are permitted. There will be a table decorating contest this year, with a cash prize for the winning table. Be sure to ask Libby in the Box Office about this fun opportunity when you come in for your ticket. One highlight of the Ball each year is NCLAC’s Silent Auction. This is a wonderful way to “win” treasures, such as trips and casino stays, one-of-a-kind artworks, and antiques. Details about some of the available auction items will be given in early January. If you have any questions, please call the Dixie Center Box office at (318)255-1450. Follow the Krewe of Allegro Mardi Gras Ball on facebook to stay in the loop about the event. This week's Art Talk Monday is written by Jessica Slaughter, NCLAC Executive Director The annual flurry of holiday activities blew in with December 1. Be sure to mark the following programs on your calendar in order to create a most “feel-good” season for you and your family. This Thursday, December 11, will be Ruston’s Christmas Parade, which will leave from the LA Tech football stadium parking lot at 6pm, head onto Alabama Avenue, and make a loop around downtown Ruston. Last year my children were on two separate floats, so my husband and I enjoyed riding, each of us with a child. It was lots of fun seeing the cheering crowd as a float rider….oh the joy on so many faces! This year, however, we’ll be enjoying the event from the other side again, with arms loaded with the treats they catch. The following evening, on Friday, December 12, a favorite part of the Main Street Winterfest activities will be held at the Ruston Civic Center: Children’s Choirs. The evening, beginning at 6pm, will feature local schools singing Christmas carols. There is little sweeter than the voices of children singing in unison, particularly at such a special time of year when unity, family and giving are forefront in our thoughts. Schools that will be performing are Lincoln Parish Early Childhood Center, Cedar Creek, Hillcrest Elementary, Glen View Elementary and AE Phillips Lab School. When the Winterfest singing concludes, walk a couple of blocks to the Dixie Center for the Arts for the annual Russtown Band Christmas Concert. The show begins at 7:30pm. The admission fee is a non-perishable food item or a new toy. These will be donated to Christian Community Action and Toys for Tots. The band will play familiar holiday favorites, as well as unfamiliar holiday tunes to expand your repertoire. I’m a Christmas music fan, as well as a former “band nerd,” and I always really enjoy this concert. It’s beautiful to hear familiar music performed live in such a lovely space. Still want more holiday festivities next week? On Saturday, December 13, head down I-20 to Grambling. Their day-time Christmas parade will begin at 10am. It will be full of floats and candy, providing fun for the family. This is a time of year when magical memories are made. Take advantage of our close-knit community and check out some of these activities. Louisiana Tech University's School of Design welcomes you to a closing reception for Perspicacious Ninnyhammers, a group show featuring paintings and multi-media constructions by Alex Paulus, Isaac Powell and Jonathan Syltie. The related panel discussion will be interdisciplinary in nature and includes Jana Giles, PhD, Assistant Professor of English at ULM; Benjamin Hickey, curator, Masur Museum of Art, and Andrew Wasserman, PhD, Assistant Professor of Art History and recent addition to Tech's School of Design faculty. The panel is moderated by the show's curator Nicole Duet, Assistant Professor of Drawing and Painting, and will include dialogues around the creative practices of these artists, the concept behind the group show, and questions related to the problems of interpretation. This week's Art Talk Monday is by Hilary Hileman of Ruston Community Theatre. Don't miss this production-- it's a wonderful way to kick off your holiday season! Call the Box Office at a (318)255-1450 to purchase your tickets. Ruston Community Theatre’s next production is the popular holiday play The Best Christmas Pageant Ever, written by Barbara Robinson. It is sponsored by The Lewis Family (of Lewis’ Boutique), opens December 4th at The Dixie Center for the Arts and is being directed by Mitch Dufour. The young Herdman clan, savvy connoisseurs of juvenile delinquency, show up at church for the first time after hearing that there is a free all-you-can-eat snack buffet. Grace and Bob Bradley are simultaneously attempting to produce the Christmas pageant after the director breaks her leg. In desperation, and despite protests from other church members, they cast the hardened hooligans in starring roles. As a result, the Herdmans reenact the traditional Christmas tale in a rather unconventional fashion. Ruston Community Theatre is posting individual videos from cast and crew members on Facebook. Be sure to check out our Facebook page at www.facebook/RustonCommunityTheatre. The dates for The Best Christmas Pageant Ever are Thursday, December 4th through Saturday the 6th at 7:00 p.m. and a Sunday December 7th matinee at 2:00 p.m. at The Dixie Center for the Arts in Ruston. Tickets at the door are $12 for adults and $6 for students/children. Additionally, Ruston Community Theatre and The Lewis Family are proud to sponsor two sold-out school performances of this play. Visit RCT’s website at www.rctruston.org and Twitter page at Twitter@RustonCoTheatre. This week's Art Talk Monday is written by Jessica Slaughter, NCLAC's Executive Director. Let’s use this week to share some of our “thankful list” from the NCLAC office. First, I am thankful for dedicated community partners who support the arts in our region. One of these is Bank of Ruston, who holds an annual art exhibition each December featuring regional artists. This year’s show will feature Hooshang Khorasani and Dianne Springer. Hooshang is a painter. Whether viewing his romantic florals, or his racing horse images that he’s nationally known for, all of his work vibrates with his dynamic color palette and mark making. Dianne Springer is a quilter-extraordinaire. In addition to making quilts, teaching and traveling with quilts, she also has her own line of quilting fabrics. Bank of Ruston will hold a reception for these artists on Tuesday, December 2, from 5-7pm. Another of our community partners who support the arts is Parish Press. NCLAC displays artwork in Parish Press, creating a rotating exhibition that coordinates well with the vibe in this great new coffee shop. I am also thankful for hardworking, talented local artists like the one currently exhibiting at Parish Press: Whitney Caskey. Whitney is from Jackson Parish, and is a multi-facted artist. Using the theme of fairytales, Whitney uses drawing, painting and photography to convey her story. In 2014 she had a one-person exhibition with the Bossier Parish Arts Council, and last month she had a solo-show at the Jackson Parish Museum. There will be a closing reception for Whitney at Parish Press on Wednesday, Dec. 3, from 5-7pm. Finally, I’m thankful for other regional arts organizations. We are all working together to cultivate and promote the arts in our unique state. One of these organizations is the Piney Hills Harmony Chorus. This group will join with Noteorious men's chorus from Monroe to present "An A Cappella Christmas" in Monroe's Strauss Theatre on Dec. 6 at 2 p.m. and 7 p.m. The concert is a benefit for Angel Ministries, a non-profit organization that cares for those unable to care for themselves and also teaches them to help themselves. $15 tickets are for sale at the Strauss, with Piney Hills Harmony members, and at the door. 1) Thursday evening from 5-9pm is the Downtown Gallery Crawl in Monroe/West Monroe. Several NCLAC-member artists will be featured in this exhibition that includes 11 galleries. 2) This weekend is Ruston Community Theatre's Christmas play. This year's show is The Best Christmas Pageant Ever, directed by Mitch Dufour. The show runs Thursday-Saturday at 7pm, and Sunday at 2pm, at the Dixie Center for the Arts. More details will follow in tomorrow'w post. From our pal-in-art, Ann Bloxam Smith, with the Downtown Arts Alliance in Monroe/West Monroe: Downtown Gallery Crawl, Thursday, December 4, 2014: Holiday Art Party! The December 4th Downtown Gallery Crawl will be a free “art party” for all ages! As always, the first Thursday of December will afford all the opportunity to see wonderful art while enjoying party foods and listening to festive music at eleven galleries in downtown Monroe and West Monroe. Original art will be for sale, too, with no sales taxes charged because the galleries are in an official cultural district. All are invited to the party, 5-9 pm! Holiday Variety is the theme at The River Gallery. This artist-run gallery hosts twenty-five artists working in all media from paintings to woodturning, pottery, jewelry, glass art and photography. In addition to the exquisite offerings of fine art, the gallery will be featuring gift items for December. These include smaller art, handcrafted wine stoppers, jewelry, unique ornaments, and notecards. Guest musician John Farmer will provide music while Landry’s Vineyard will serve wine, and gallery members will provide great refreshments. This gallery is the oldest and largest co-op gallery in the state and is located at 308 Trenton Street, West Monroe. Another new Antique Alley gallery is Sacred Expressions, 314 Trenton, West Monroe, where owner Lori A. Brown will be exhibiting her own work including various media. She is a licensed counselor and art therapist, using art as a method of helping others. Moving to Monroe’s Art Alley, the Crawler will find MAD Art Gallery, where the featured artist is Doug Duffey. Best known as a singer/songwriter, pianist, and international recording and concert artist (inducted into the Louisiana Hall of Fame and the National Blues Hall of Fame) he is also known as a serious, multi-genre visual artist using collage, drawing, painting, photography, mixed media, digital drawings, digital collage, digital scans and video. His artwork has been exhibited in galleries and museums in Louisiana and Europe in one-man and group shows. He is a member of the 10/20/40 Art Group (along with: Lynda Benglis, Enoch Doyle Jeter, and Sarah Davidson). A native of Louisiana and a long-time resident of New Orleans/Monroe, he has resided and worked in both Louisiana and Europe for the past twenty years. "In my drawings, I am heavily influenced by my Louisiana culture, heritage, traditions, everyday life and scenery,” he explains. Also on display and for sale is “Azalea Blossoms” by Juanita Cochran. Proceeds are for the benefit of local non-profit ARCO. In the foyer will be Cynthia Cloud with her iCyndi Creations, while inside the gallery Gray Matter will provide live music. The Sugar Gallery, also on Art Alley, is back in December with a fresh new look and new art by its stable of diverse artists. The gallery has gotten an amazing revamp by its own William Holley, with new paint and lots of beautiful touches. Holley will also have new ceramic pieces; Stacy Medaries will have new mixed media pieces that always delight; Melanie Douthit will have rich, colorful mixed-media pieces; Mary Thompson will have her beautiful photorealistic landscapes; Leah Reitzell will be debuting some new colorful, constructed bayou pieces; and Burg Ransom will have some wonderful wildlife photography on the walls. Add some music, food and drink, and the Sugar is sure to please! The Palace Gallery, 220 DeSiard Street, will be doing its fourth annual Christmas Gifts Show. Works created by several artists make for great Christmas gifts, including jewelry, bags, and accessories from the ladies at the Peace House (www.facebook.com/peacehouserwanda). The Palace is also excited to present Tommy Matthews. He will have his amazing watercolors, artsy illustrated decorations and more for all to share with loved ones. Down DeSiard Street, Luna Blue Yoga Studio and Gallery (428 DeSiard) will present a show of sculpture by Monroe artist Lacy Mitcham. She will be joined by Baton Rouge writer Collette Keith in a collaboration exploring the feminine roles in today’s society. ARENDER studio + gallery on Art Alley presents Making/Decisions--art by Joey Slaughter, an art professor at Louisiana Tech University. Slaughter will display colorful sculptures representing themes of communication, choices and technology in today’s world. His work has been displayed in shows around the U.S. and has been an annual favorite at Arender Gallery. Guest artists in Art Alley’s The Big Room are Ghofran Thiga, a student at Louisiana Tech showing photographs; Sara Beth Howard, a ULM student showing works on paper including mono print, silkscreen and collographs; and Alyssa Guidry Posey, a ULM student exhibiting ceramic sculptures and mixed media block prints. ULM sculpture students Ben Bennett and Lacy Mitcham are also exhibiting again in The Big Room, as well as resident artists Jon Aiken, Christen Parker, Ricky Sikes and Victoria Smith with oil, watercolor and acrylic paintings and mixed media work. At UPSTAIRS artists are celebrating five years as a gallery with the OG (Original Gangstas) Show. Three founding members--Emily Caldwell, Jason Byron Nelson, and Anna Schriefer--are exhibiting their work together. Together again! Their works include sculpture, oil painting, collage and mixed media pieces. DOWNSTAIRS gallery (137 Art Alley) is the final gallery that will be open for the Downtown Gallery Crawl. Presenting Sponsor Creed and Creed Law Office leads a group of faithful sponsors to support the Downtown Arts Alliance, a non-profit organization dedicated to encouraging the fine arts and developing the downtown areas of Monroe and West Monroe. Other sponsors include Fiesta Nutrition Center, BancorpSouth, The News-Star, Sir Speedy, Monroe-West Monroe CVB, DeltaStyle, KEDM Public Radio, Northeast Louisiana Arts Council, Atmos Energy Corp., Heck Law Firm, Hollis & Company Jewelers, Community Trust Bank, Cross Keys Bank, Val Salomon Law Office, Rawls DeSigns, Marsala Beverage, Restaurant Cotton, Warehouse #1 Restaurant, and Choice Brands. Celebrating the season, Downtown Monroe and West Monroe will have a holiday ART PARTY complete with original art, food, music, and friends on Thursday, December 4, 5-9 pm—and will celebrate again on the first Thursday in February—Thursday, February 5, 2015. Holiday Arts Tour Stop: Park Avenue Antiques, 120 Park Ave.
Park Avenue Antiques is a trove of yesterday’s treasures made new again by their discovery and display. Wall to wall, ceiling to floor, there are all sorts of historic items here to charm the wandering shopper, even more so with the work of Loretta Shadow Owens joining in the mix. Loretta is a long time local that came to painting later in life, and hasn’t stopped since. Her work is always lively and colorful, full of pattern and meaning. Ask Loretta about her pieces, and as if describing any antique in the store, she can tell you all about their personal history and evolving significance as the work came into being. Usually most admire Loretta’s work though for the narratives they themselves derive from the pieces, so come by and see what tales you can uncover! Loretta will also have her recently published children’s book for sale. Holiday Arts Tour Stop: Main Street Exchange, 122 S. Trenton St. Even on an average day Main Street Exchange carries a variety of local artwork among its unique historic finds. The store also rotates the local non-profits and charities its art sales benefit, but you have to come at the right time to find it open. This is the why the Holiday Arts Tour is perfect time to see the store and its current resident artists Maggie Jones Boudreaux, and Shelly Nealy Edgerton. Maggie and Shelly will be exhibiting mixed media paintings, collages, and sculptural works. Both of these artists are also teachers, Maggie teaches art classes at A.E.Phillips Lab School on Louisiana Tech Campus, and Shelly teaches early childhood classes at Wildflower Montessori School in Ruston. Also both mothers of small children, Maggie has cited how artists should cherish the daily inspiration young students can offer to their work, in the way that children create freely without censorship, and without the pre-determined rules of design that a fine art training might bear on an artist. Come by and see for yourself, the creativity and freedom these two great artists display! If you make it by on Saturday, be sure to stop between 2-3pm to hear to local guitarist Cain Budds. While Cain plays many types of music, he will be performing classical guitar during the Tour, a rare treat in Ruston! We have another Tour Stop by NCLAC intern, Jordan Whaley. Holiday Arts Tour begins tomorrow and runs through Sunday, with different activities each day. This page will give you all the details. Holiday Arts Tour Stop: Re/Max, 201 N. Trenton St.
You definitely don't want to miss the Re/Max building on this year’s Holiday Art’s Tour. Re/Max is a full service real estate office serving all of North Louisiana. Marguerite Hogue and Emily Gautreaux will both have work on display upstairs in the Re/Max building. Marguerite Hogue is a sculpture and a painter. Her work depicts aged structures and homes that are a direct influence from her experiences as a child. Emily Gautreaux is a painter and illustrator. Her work is mixed media and is influenced by still life, nature, pop culture and illustration. On Friday evening, there will be a live performance by Elizabeth Vidos outside of the Re/Max building. She is a percussion artists who uses buckets as well as her body to make music. She has even toured with STOMP! This is not a performance you want to miss: 7-8pm Friday. Holiday Arts Tour Stop: Accent of the East, 122 N. Trenton St. Accent of the East is a unique stop on this year’s Holiday Arts Tour. Ruth Yung and her husband have been operating their business in the same building for 38 years. Year round you can find Chinese tea sets, Asian inspired home decor as well the owner’s Ruth Yung jewelry. Ruth uses unique stones to make beautiful jewelry. Ruth and her husband also offer clock repair. This weekend the shop will also feature Michele McGehee’s jewelry. Michele enjoys making earrings, necklaces, rings, bracelets, and broaches out of vintage and antique watches for her personal business, Timeless Treasures Originals. On Saturday afternoon, Meihan Guo will give a special performance. Be sure to stop by Accent of the East to hear the beautiful Chinese harp: 1-2pm Saturday. 17th annual Holiday Arts Tour is this weekend! November 20-23 in downtown Ruston. Check out intern Jordan Whaley's post on the artists featured at Frame of Mind and Pastry Moon. Pastry Moon will definitely be bustling this weekend for the Tour! Be sure to stop by this quaint vintage and handmade shop to see all they will have to offer. Artist Maureen Hinton’s stained glass will be featured in the shop all weekend. She is a life-long illustrator and painter who recently began working with glass as a medium. Rickey Pittman will hold a special performance on Saturday afternoon; He will be singing traditional folksongs. Pittman is an author, storyteller and a folksinger. Also, as a special treat, Pastry Moon owner, Bonnie Ferguson will be putting on a Sprout Sunday activity with Maureen. The art of today's featured tour artists will be displayed in stores that are side-by-side on Trenton Street: Turbo Goat Sporting Goods and Turbo Goat Bicycle Shop, both at 301 N. Trenton. Shawn Hood has been enamored with cameras since she was 8 years old and has moved from someone who just loves taking pictures to a professional photographer who captures the wonderment of the world. The names of her various genres speak volumes: Louisiana Outback, Gems of America and Natural World, to cite a few. "My art is not thematic as much as it is based on an immersion into the world around me," she says. "I am continuously documenting the experiences that provoke me to think, feel and love. A lonely and deserted alleyway can inspire me in much the same way as a majestic mountain … I am continuously documenting the experiences that provoke me to think, feel and love … I like the vibrant colors that nature gives us and I try to capture that. I love to use black and white photography as a means to express solitude, desertion, and the forgotten side of life … I want to fuel the imagination that allows an audience to tell their own version of a story." In addition to her "art photography," Shawn also enjoys portrait, wedding and event photography. Ruston's only downtown sporting goods store, Turbo Goat Sporting Goods, will be home for Shawn's photographs during the Tour. The companion store, Turbo Goat Bicycle Shop, will feature the fairy-tale art of Whitney Caskey. Her fascination with drawing at a young age led to painting – and then while enrolled at Louisiana Tech, she began to move toward photography, which is now her main focus. Regardless of medium, a strong sense of narrative is found throughout her work, a narrative that viewers are allowed to decipher for themselves. Whitney's love of stories – again, from when she was a small child – has influenced her work greatly. Indeed, she likens her work to Neverland. "Anything is possible in a story," she says. "Gravity can be reversed with a mere flick of the wrist. A simple picture frame can become a portal into another dimension … However, a childlike sense of imagination often comes with irrational fears. Fear that a monster could reside under your bed, or a boogeyman is sleeping in your closet. My work explores both sides of imagination: the dreams and the nightmares." Whitney often places herself in her photographs, in many diverse scenes and situations and alternate realities. In addition to serving as the locale for Whitney's Neverland during the Tour, visitors to the shop can enjoy the juggling of Bill Deese there on Saturday afternoon. Additionally, Turbo Goat Bicycle Shop is your local source for bicycles and skate decks. Holiday Arts Tour Stop: House of Flowers & Cake Shoppe, 100 N. Vienna St.
House of Flowers and The Cake Shoppe is a lovely (and tasty!) stop on the tour. Winner of the 2013 Holiday Arts Tour Judge's Choice Award, artist Julie Crews' oil paintings beautifully capture simple moments and familiar scenes. Leigh Buffington's paintings, prints and boxes offer serene embellishments for the home. Julie says of her work, "When I paint... I am also excited to push the limitations of my current skill level and challenge the tendencies of my past work, like rendering all my subject matter too tightly. Sometimes I paint from observation, documenting life as it happens, and other times I use study sketches and photo references. Sometimes I paint and ask myself, “What rule can I break? Will I be successful?”, and I measure my success through my experience of the process and product." To view more of Julie's work, check out her website at juliecrews.com. An artist of various mediums, Leigh focuses on the "duality of flesh and spirit" to guide and unify her symbolic and ornamental work. Leigh says, "I am drawn to the ever present reality of the spirit world," and our experiences in the flesh are "vital to our process of learning" in this life. When you view the sense of balance of her carefully composed jewelry and art works you may sense your own spiritual awareness heightened. The charming barber shop known as Rumo's will be hosting Todd Maggio during the Holiday Art Tour. Todd Maggio screen prints objects that people use in their everyday lives such as journals, cards and CD covers, infusing these mass-produced objects with the vitality and spirit of the artist's hand. Todd will be screen printing tattoos on Saturday, be sure to stop by and get yourself a (nonpermanent) fun tattoo work the weekend! Holiday Arts Tour Stop: Beau Monde, 206 N. Trenton St. Fiber artist Rachel Johnston will have a variety of work for sale at Beau Monde, one of Ruston's newest boutiques. While Beau Monde has its own variety of must-have scarfs and leggings, you may also have to take home one of Rachel's fabric creations as well! Rachel's offerings include handspun yarn and cold-process soap. She admires that what to her is a craft of joy, was once a craft of necessity to past generations. In Rachel's own words, " I need to be involved in this process of turning a raw fleece into something beautiful, something useful, or both. At the end of the day, my hands might be blistered. They might be rough and calloused. And I am okay with that because it means it means I’ve done something. It means these hands have created something that I can be proud of." Rachel will demonstrate with her spinning wheel on Saturday. Don't worry Cinderella's, she'll be careful not to stick anyone! To view more of Rachel's work, check out her Etsy page at nomadnaturals.etsy.com. Art Talk Monday: Holiday Arts Tour This Weekend! This week's Art Talk Monday is written by Jessica Slaughter, NCLAC Executive Director. NCLAC is pleased to present its 17th annual Holiday Arts Tour in downtown Ruston, this weekend, November 20-23. Holiday Arts Tour is “all about the arts,” with music, visual artists, writers, dance and theatre. Beginning on Thursday, November 20th, there will be live music each day, including jazz, bluegrass, country, barbershop harmony, classical, blues, Chinese harp, reggae and body percussion. Some of the participating musicians include Monty Russell, Elizabeth Vidos and Rhapsody Quartet. Thirty-five downtown Ruston locations will play host to artwork by regional artists, as part of Ruston’s Main Street Christmas Open House. On Friday, artists will be on site in these shops selling their works from 5 till 9pm. One of the special parts of the Arts Tour is the artist-viewer dynamic; it’s an interactive weekend. Shoppers are encouraged to speak with the creators about their works and to get the inside scoop on these one-of-a-kind items. Saturday’s hours are noon till 6pm and will expand to include artists’ demonstrations, such as oil painting, printmaking, and quilting. In the afternoon there will be a round-robin poetry reading featuring four regional poets: Genaro Ky Ly Smith, April Honaker, Veronica Schuder and Errol Miller. The poetry reading was added to last year’s Tour and was a great success. On Sunday, from 1:30 till 3:30, will be Sprout Sunday, art projects for children with five of the participating Arts Tour artists. A book reading by a local children’s author, a fiber-based ornament and a paper-folded puppet are included in the roster. These activities will take place at 202 N Vienna. A perfect ending is the Community Variety Show at 4:00pm on Sunday at the Dixie Center for the Arts. This show will include ball room dancing, vocal and instrumental music, ballet dancing, theatre and more. Joel Sharpton of Red Peach Media will emcee the event. It’s an entertaining line-up! Program sponsor for this year's Community Variety Show is Kim Dupree, State Farm Agent. Thank you, Mrs. Kim! All of the performances and activities in Holiday Arts Tour are free to the public as part of NCLAC’s mission to foster opportunities for creative expression and build a region where the arts can thrive. If you'd like to see photos from last year's Holiday Arts Tour, visit our Facebook page here. For a complete schedule, map and listing of artists and sites, please visit this page. Call our office with questions at (318)255-1450. NCLAC would like to thank Patricia Willis of The Children’s Shoppe for the generous use of her space at 202 N Vienna. We will be using this storefront for artists, demonstrations, the poetry reading, as well as Sprout activities. Thanks also to Fine Line Art Supply, our title sponsor for this year’s Holiday Arts Tour. HAT is supported in part by a grant from the Louisiana Division of the Arts, Office of Cultural Development, Department of Culture, Recreation and Tourism in cooperation with the Louisiana State Arts Council and administered by the Shreveport Regional Arts Council. NCLAC's 17th Annual Holiday Arts Tour, November 20-23, 2014 -- a map and complete schedule can be found here Today's Tour stops include Sundown Tavern, Fine Line Art Supply and Stitchville. hosting Todd Cloe and Emily Ezell, as well as music on Saturday evening. Todd Cloe is a fixture at Sundown each year for the Tour. His brings his beautiful wooden rings and they fly off his table. Much of Todd's inspiration comes from ancient artifacts and from Native American history as well as from nature. He combines this inspiration with his personal experiences to create beautiful, hand crafted works of art. Todd Cloe is currently employed in Louisiana Tech University's School of Design. Todd serves as the wood shop technician offering guidance and instruction to students so they will have the knowledge and understanding needed to turn their own ideas into completed works of art. Emily Ezell will also be displaying work at Sundown. Emily is a talented painter who creates captivating portraits, as well as paintings that cater to childhood memories and fantasies. On Saturday evening at 6pm there will be a performance by the Dan Sumner Quartet. The group will treat Tour-goers to straightforward jazz. Members of the group include Dan Sumner, Ken Carter, David Oliver and Chris Siripong. objects that symbolize spirituality and enlightenment. This body of work is focused on expressing emotions and telling stories through deer while allowing the viewer the chance to relate to the deer on an unusual level." Fine Line will host The Taylor Outfit on Thursday evening at 7pm. This bluegrass group includes Lendel, Casey, Emmylou and Carson Taylor---a family band! Inside Fine Line is Stitchville, a yarn shop plus so much more! Stitchville sells fabric, yarns and notions, as well as offers classes on various sewing and knitting themes. Owner Allie Bennett will be featured on the Tour, with items such as handmade bags and handspun yarns. Allie is experienced in the performing arts, with history both on stage and in costuming. She has taught drama camps and workshops for NCLAC, and also serves diligently on the ARToberfest Committee. Jackie Cochran's space, Art Innovations, is just that: an innovative space for creating. For this year's Tour, the site has been transformed into A Walk in the Woods. Jackie hiked the Appalachian Trail this summer and was inspired to turn Art Innovations into a forest. A perfect fit for the forest, maker Francis Carson will be there selling his handmade bows (the hunting variety), bird houses, and rings. The beautiful rings he makes are hammered from coins. Francis is a first aid worker by profession, but has always enjoyed working with his hands. He began making multi-level bird houses and then ventured into designing bows made from PVC pipe. At the Townsend House will be Laura Glen Lawson. She is a long-time participant with Holiday Arts Tour, as well as a member of the Louisiana Craft Guild and the Craftsmen's Guild of Mississippi. Laura Glen creates stunning jewelry, of which she says, "I want the people who wear my jewelry to feel a connection to the jewelry and know the piece was created with love and care. I believe this sense of connectivity is achieved through the synergy of seeking balance and harmony between metal and stone in a fluid, organic style. Inspiration for many of my designs comes from watching nature... the shapes of trees, the growth of wild vines and the curves of clouds." The Townsend House itself is worth a visit, as it's a wonderful gift shop, one of the oldest buildings in Ruston, and is on the National Register of Historic Places. Holiday Arts Tour activities are free and the public is invited! Please join us! Holiday Arts Tour 2014 Title Sponsor is Fine Line Art Supply & Print Lab. Thanks Fine Line! Holiday Arts Tour is also supported by a grant from the Louisiana Division of the Arts, Office of Cultural Development, Department of Culture, Recreation and Tourism in cooperation with the Louisiana State Arts Council and administered by the Shreveport Regional Arts Council. Rodeo Boutique is a fun ladies' boutique for the young-at-heart. Rodeo will be featuring Cheyenne Morrow. Cheyenne is a native Rustonian, and a Louisiana Tech University alumni with a degree in both studio art and communication design. She works as a packaging designer, packaging baby products. Cheyenne says she fills her time "doing art and exploring the world through science, sociology and mathematics. I spend time in nature as often as possible, which is an incredible source of inspiration for my art." Cheyenne will be displaying unique ink drawings that employ repetition as a conceptual tool. Social Bites of Ruston has recently moved to a brand new storefront facing Railroad Park. The new space is super, and of course owner Heather is still focused on making sweet treats. Artist Nicole Duet is displaying her work here for the Tour. Nicole has an amazing touch with her drawings, and her oil paintings exhibit a lovely use of light. For this exhibition, Nicole will be displaying a special series of paintings created just for her site. Be sure to stop in and check them out! Nicole is an Assistant Professor of Drawing and Painting at Louisiana Tech. The Fabric Shop of Ruston, owned by Louise and Ron Adams, is a fabric shop of course, but also your local source for Pfaff products. I bought my Pfaff machine from them years ago, and I can attest to their great knowledge base and strong customer support. Allison Vestal will be displaying her fiber-based art works here for the Tour. Allison creates scenes of childhood memories from fabric, creating fairytale moments built with fiber and thread under her fingertips. Allison is a Communication Design student at LA Tech. 17th Annual Holiday Arts Tour, November 20-23, 2014 Today's listings for the Tour include two visual artists and two bands on West Park Avenue. Delta Dry Goods and Social & Leisure are concept shops presented by Patton's Downtown. Each of these shops will be hosting an artist for the Tour this year. Inspired by the mid-century modern clock designs of George Nelson, each clock is made after recycled golf balls are cut in half to reveal the unique colors and patterns which vary according to the manufacturer. Then the center dial is cut from alder and laser etched with a pelican design for the nature lover or for folks in Louisiana. It was then stained with a natural stain and finished with polyurethane for durability. The spokes are made of wooden dowels and are stained to match the clock face. They are finished with polyurethane for a lasting finish. The clock hands are brass. Each clock is one of a kind and is powered by a single AA battery. Several years ago local artist Jack Lewis invited me to his studio to learn how to fuse glass and use his kiln. After that I was hooked. Fusing glass was a lot like ceramics: I never knew exactly how they would turn out and it made it that much more exciting to open the kiln and see these little gems of glass. So I started to make hand made jewelry with the glass. It is very rewarding as an artist to see my art in someone’s home, and I get that same feeling when I see my jewelry being worn by someone. Just down the block Blue Wire Electronics will be hosting Stiff Necked Fools and The Bluesaholics. It's the first year for both of these bands to play Holiday Arts Tour, and we're so excited to offer them to you! Stiff Necked Fools - Friday night, Nov. 21, from 8-9pm. Stiff Necked Fools are a Reggae band based out of Shreveport, Louisiana. Dan Sanchez was an award-winning Blues artist from Los Angeles who was looking to do something new. His search led him to Reggae music, which soon became his passion and led him to form a project. Mr. Sanchez recruited the sounds of John Hoffman (the son of Stanton Hoffman of the Killer Bees) on drums, the fast fingers of Jason Ball on keys, and the explosive basslines of Greg Pitts. Unfortunately, just as the group was starting to blossom, Dan fell ill to cancer and passed away in March of 2010. Devastated, but determined, the Fools worked to pick up the pieces and keep on moving. Their persistence paid off. With more players added to the group and a new sound emerging, the weekly Reggae Thursdays jam at the Tiki started exploding. Rounding out the Fools are reggae 6 string extroirdinaire Chase Parker on guitar and the insane talent of Eddy Hoffman on drums. Also, the awesome funky horn playing of Ruston's own Mr. Jacoby Phillips on tenor sax. Today, they are easily the hottest Reggae/Jam band in this part of the country. With the group opening up for bands such as Rebirth Brass Band, Cowboy Mouth, Bonerama, and many others. Boasting 700+ shows to their credit and traveling the country side bringing their own style known as 'Bayou Reggae" to music lovers everywhere, Stiff Necked Fools has left heads spinning in disbelief everywhere they go. The impression they make with their unique sound and style is not easily forgotten, and many great things are bound for this one of a kind band in the future! The Bluesaholics - Saturday afternoon, Nov. 22, from 3-4pm. The Bluesaholics are a six-piece band from North Louisiana. Their music is a gumbo cooked with some Mississippi soul, a bit of Memphis funk, and some Chicago blues - heavily seasoned with Louisiana heat. Their blues are Da BLUES. The Bluesaholics are currently playing clubs, festivals, and parties in Louisiana, Arkansas and Clarksdale, Mississippi. They consist of Dave P. Moore - harp and vocals, Bruce Gay – guitar and vocals, Fiddlin’ Tim Brogan – blues fiddle and vocals, Tony Cortellini - keyboards, Eli Drumgold -bass, and Professor Bill Deese - drums. Special guests often include the talented singers Judge Willis McGee or Miss Dorothy Prime. Holiday Arts Tour programs are free for the public. The event is supported in part by a grant from the Louisiana Division of the Arts, Office of Cultural Development, Department of Culture, Recreation and Tourism in cooperation with the Louisiana State Arts Council and administered by the Shreveport Regional Arts Council.